Pizza is nearly everyone's favorite food. Now he can carry around a reminder of his devotion to pizza inside of his very own pants! On the front of the wrapper you'll see the title - "EAT MY CRUST"
All of my boxers are full-cut with a three-panel design (no center back seam) and a functional fly. I make all of my products in a smoke-free home, I only use woven 100% quilter's quality cottons, I prewash all fabrics before I cut so the finished garment stays true-to-size, and all interior seams are finished by flat-felling. 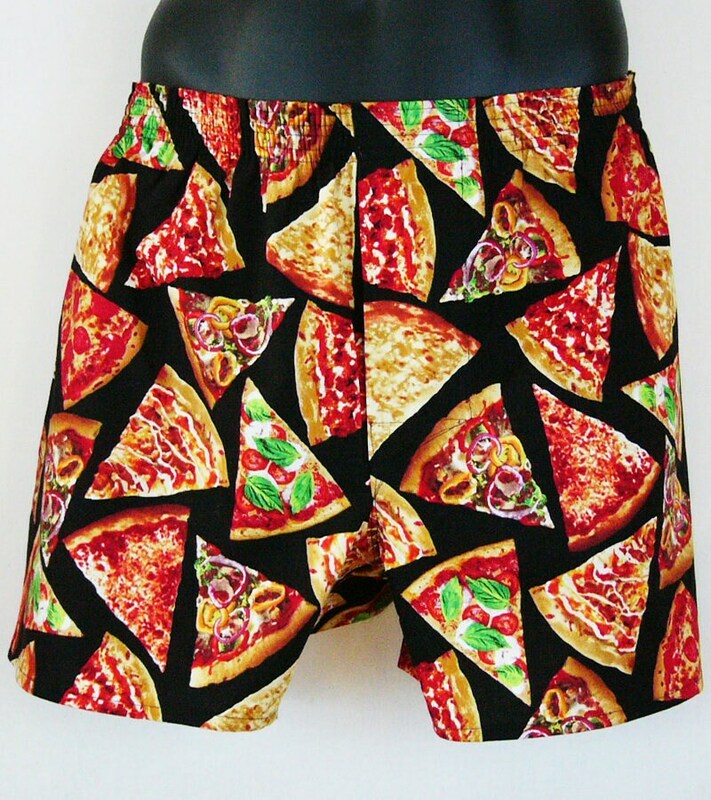 These are some quality underpants... it's a much better bet than wearing *actual* pizza as underpants. Aún no recibo el producto. Lo compré desde el 02 de septiembre y aún no llega. perfect. well made. thank you! WOW. love it. Thanks again! !